The top 10 most downloaded movies on BitTorrent are in again. 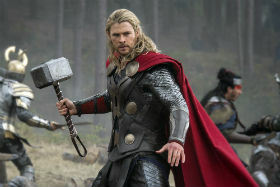 ‘Thor: The Dark World’ tops the chart this week, followed by ‘The Hunger Games: Catching Fire. ‘Homefront’’ completes the top three. The Hunger Games: Catching Fire is the most downloaded movie this week. 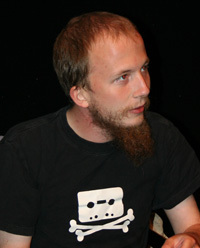 Pirate Bay founder Gottfrid Svartholm had his custody extended for four more weeks during a behind-closed-doors court hearing today. The investigation into Gottfrid’s alleged hacking activities is still ongoing, with the prosecution today revealing that police records obtained during the hack may have been transferred to servers abroad. Following a failed appeal to the Supreme Court in Sweden, Gottfrid Svartholm was extradited to Denmark last November, where he now stands accused of hacking offenses. Denmark accuses the Pirate Bay co-founder of hacking into the mainframe computers of IT company CSC. In an earlier case in Sweden he was acquitted of similar charges, but convicted for hacking into IT company Logica. Gottfrid appeared in court again today and during the closed-door hearing his custody was extended for a minimum of four more weeks. Until then he will remain in prison, as the authorities fear that he may compromise evidence if released. During the hearing prosecutor Maria Cingari said that the investigation into the alleged hacking carried out by Gottfrid and his 20-year-old co-defendant is still ongoing. Since it’s such a complex case it may take “a few months” before the indictment is finalized. “The investigation is not over. It is a very extensive and complex hacking case. Police don’t have a clear picture yet of what has happened with the stolen files. Investigations suggest that the downloaded files are partly located on servers abroad, “she said. Among other things, Gottfrid is accused of accessing a large number of files including police records and drivers’ licenses, some of which were transferred to servers outside Denmark. The prosecution says that Danish police have asked for assistance from authorities in Australia, hoping to find out what happened to the stolen records. Gottfrid continues to deny involvement in the Danish hacks and is pleading not guilty. According to him, someone else must have gained access to his machine to carry them out. Gottfrid’s co-defendant, a 20-year-old Dane, also remains in prison having already been detained for more than eight months. In Denmark people can be held in custody for a year, for crimes with a punishment of up to six years. In recent weeks Gottfrid has received a lot of support from people all over the world. More than 100,000 signed a petition to relax his restrictive imprisonment conditions. While he now has access to his own books, access to other reading material is still very limited. Among other things, he can’t receive books or letters from outsiders. TorrentFreak talked to Gottfrid’s mother Kristina Svartholm today, who can’t understand why her son is only allowed minimal communication with the outside world. Just last week the police stressed that she can’t give Gottfrid books and other printed material, as these may contain secret messages. “I find it remarkable that Denmark keeps him in relative solitary confinement, after all those months between last year when he was free to contact me on a daily basis, and free to receive books, newspapers, magazines, printed copies of articles from scientific journals and so forth,” Kristina told TF. “I think this assumption is astounding, because it suggests that I would deliberately risk my only opportunity to meet him during the single hour per week that we are allowed to see each other,” Kristina adds. A few weeks ago the U.S. Government paid a $50 million settlement for pirating military logistics software, which was used to protect soldiers and shipments in critical missions. 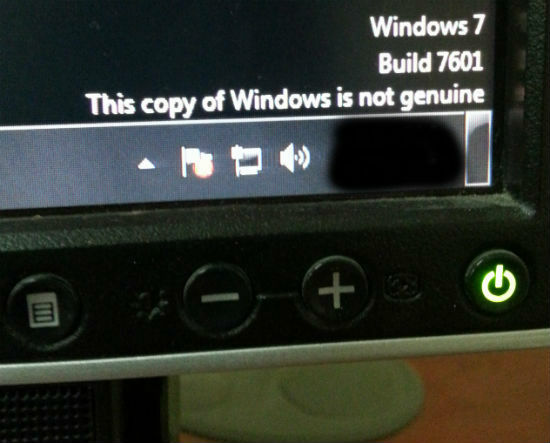 Following this news, a soldier stationed in Qatar told TorrentFreak that several computers at his base run unlicensed copies of Windows 7, which he backs up with photo evidence. “I feel the army should be kept honest and accountable for what they do,” the soldier says. The United States is known for its aggressive stance when it comes to copyright infringements. It therefore came as quite a surprise that the U.S. military had been using unlicensed logistics software for years, a case the Obama administration settled for $50 million last month. However, a signal soldier serving in Qatar informs TorrentFreak that this incident may not be as unique as it sounds. According to the soldier, who we will name Mark, the soldiers’ education center at his base has 18 computers which all run unlicensed copies of Windows 7. “All of the computers in this computer lab show that the operating system is not a genuine copy,” Mark says. 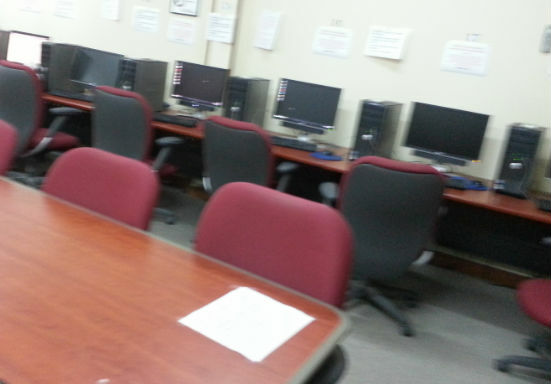 The picture below shows several of the computers in the education center of Camp As Sayliyah. The facility is open to all active and reserve military personnel as well as DOD civilians. The computers have been running in this state for quite a while according to the soldier, and he is unaware of any attempts to properly license the software. 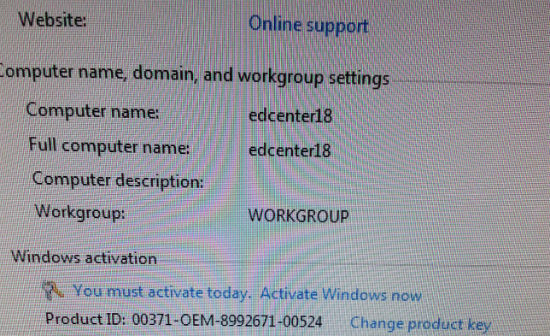 The picture below again shows a Windows 7 copy that hasn’t been activated. 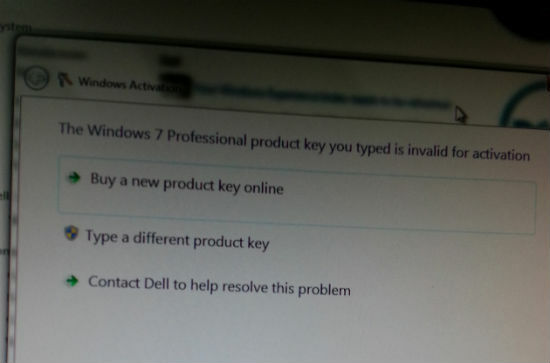 The product-ID displayed is a generic OEM one, which is often used on Dell machines. Mark informs us that this is the first time he has seen a military base openly run unlicensed Windows systems. He brought up the issue with his direct superiors a few weeks ago, but that hasn’t changed anything. “I am not anti-government in any way, but I have been in the army a long time and I feel the army should be kept honest and accountable for what they do, especially when it is so public and a hot button issue in these times,” Mark told us. From the information we received it is unclear why the computers are not licensed. Perhaps the legitimate keys were lost, perhaps there are no valid keys available, or maybe the Army has fallen victim to the consumer unfriendliness of DRM. What we do know is that the Department of Defense has a long-standing relationship with Microsoft. Earlier this year both parties signed a $617 million licensing deal to bring Windows 8 to the Army, Air Force, and Defense Information Systems Agency. Considering this new deal, Microsoft will probably forgive the U.S. for running a few computers without a license. The top 10 most downloaded movies on BitTorrent are in again, ‘Riddick’ tops the chart this week, followed by ‘Gravity’. ‘Don Jon’ completes the top three. 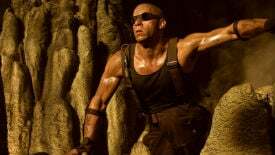 Riddick makes a comeback as the most downloaded movie of the week. Following pressure from the entertainment industry the domain registry of Sint Maarten appears to have seized The Pirate Bay’s .SX domain name. The torrent site itself hasn’t been taken down and has quickly relocated to a new address on Ascension Island’s .AC ccTLD. The Pirate Bay team informs TorrentFreak that this UK-controlled domain isn’t their final destination and they will sail to a safer haven in the near future. A few hours ago Pirate Bay users were shocked to discover that their favorite torrent site was no longer loading. Without warning the nameservers were removed from thepiratebay.sx domain, making it impossible to load the site in places where DNS entries were not cached. TorrentFreak reached out to The Pirate Bay team who informed us that the .SX registry appears to have seized the domain overnight. The Pirate Bay website itself remains online, however, as the site’s operators quickly relocated to thepiratebay.ac, which uses Ascension Island’s ccTLD. It’s seems possible that the domain seizure is connected to pressure applied by Dutch anti-piracy group BREIN, which represents a variety of copyright holders. Last month BREIN sent a letter to the contact email address for The Pirate Bay’s domain, which is registered to site co-founder Fredrik Neij. In their letter BREIN pointed out that the site infringes on the rights of copyright holders worldwide. The group added that the .SX domain is controlled by the Dutch part of Sint Maarten, suggesting that BREIN has jurisdiction over it. “We expressly point out that by registering domain names and using these and/or allowing these to be used by The Pirate Bay, you infringe on the rights of Rights Owners. Therefore, the Rights Owners hold you liable for the damages that they have suffered and will suffer from your actions,” the letter read. Citing previous court orders the anti-piracy group demanded that Neij cease and desist from operating the site and using thepiratebay.sx or any other domain to make the Pirate Bay website available. The letter set an ultimatum of 22 November and threatened a 25,000 euro per day fine if the site remained online. At the moment it is unclear whether a new court order has been issued and to what extent BREIN is involved in the domain seizure. TorrentFreak reached out to both the .SX registry and BREIN and we will update this article when we receive responses. The Pirate Bay, meanwhile, continues to be accessible through the new .AC domain, although only briefly since the ccTLD is UK controlled. “The AC domain is directly connected to the UK, so it’s just a quick stop there,” a Pirate Bay insider told us. After solving some technical issues the infamous torrent site plans to move to the Peruvian .PE ccTLD. ThePirateBay.pe will be the fifth domain name for The Pirate Bay in 2013. Fearing a domain seizure by the Swedish authorities The Pirate Bay quickly switched to a Greenland-based domain in April, later hopping to Iceland, and eventually landing .SX domains as other problems became apparent. The Pirate Bay hopes for a longer stay at the PE domain, but the site’s operators still have a few dozen domain names backed up if required. 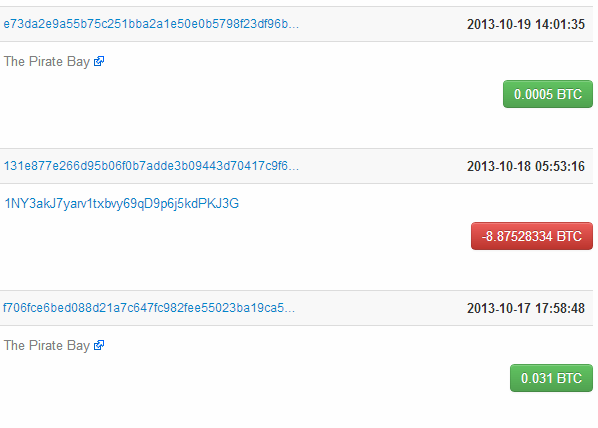 Update: As expected, BREIN now takes credit for the decision of the SX registry to seize Pirate Bay’s domain name. The top 10 most downloaded movies on BitTorrent are in again, ‘Riddick’ tops the chart this week, followed by ‘The Family’. ‘Prisoners’ completes the top three. Riddick is the most downloaded movie for the second week in a row. you have been around the BitTorrent scene for a while, you are bound to have heard about XtremeWrestlingTorrents (XWT for short). It is a long standing, veteran private tracker and one of the most popular sites indexing Wrestling content. Up until recently, XWT had two other sister sites, XWT-Classics, a wrestling tracker dedicated to classic content, and All4Nothing, a General/0Day torrent site. Well, the XWT family of trackers just got a new member, this time a specialized TV tracker in the name of Torrent-Vision. Welcome to Torrent-Vision. We are a Dedicated TV Show website that aims to bring you all of the latest shows, packs, classic seasons and much more. The tracker launched just about 2 months ago, and has gained some ground during this time. It currently tracks over 1200 TV torrents, and boasts an impressive registered users base of 7000 members. Indexed content is pretty much what you would expect from a TV tracker; individual episodes of latest shows, and full season packs of previously aired content. Actually, Torrent-Vision already indexes 200+ packs, which is quite an achievement for a two month old private torrent community. 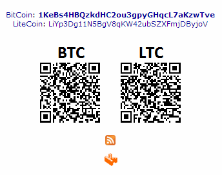 In order to help our site have as many members as possible seeding torrents we have now added Seed Points. This means for every hour that you seed a torrent, you will receive 0.25 points. You can then trade your points for Upload Credit, Invites or a Custom Title! Even if you are not uploading on a torrent, you WILL still receive points. We are hoping this new system will keep our older torrents alive for longer. Currently, Torrent Vision not a TV tracker that can rival the heavyweights such as BMTV, BTN or TvTorrents.com. However, given the success of XWT crews successful tracker portfolio, you can expect good things coming from Torrent-Vision. And of course, signups are still open as of 12/1/2012. One of the world’s largest sites dedicated to converting YouTube videos to downloadable MP3s has lost a court battle with representatives from the music industry. YouTube-MP3, a site that was also threatened by Google in 2012, agreed to cease and desist from its current mode of operation after it was revealed it was not only ripping music from YouTube, but also archiving the MP3s for future download. Despite the loss, the site remains online – legally. In addition to obtaining music from file-sharing networks, those looking for free tracks often get them from so-called tube-rippers, sites and services that transform YouTube videos into downloadable MP3s. These tools are available in several formats including desktop packages, apps for mobile devices, and more commonly browser-based tools. In mid-2012 YouTube owners Google, believed to be under pressure from the music industry, started to make life more difficult for web-based YouTube converters and some cases issued threats to sue. While some sites decided to shut down, many others continued business as usual, including the German site YouTube-MP3, one of the largest YouTube ripping services around with around 30 million visits per month. The site has long insisted that it has a right to provide ripping services but having fought off Google it recently found itself up against fresh adversaries. Three music companies under the umbrella of industry group BVMI challenged YouTube-MP3′s assertion that it operates legally and sued it in the Hamburg District Court. The companies said that while YouTube-MP3 claimed to be offering only a rip-and-download service, there were serious technical issues behind the scenes that rendered the site in breach of copyright law. YouTube-MP3 claimed that users of its service could enter the URL of a YouTube video and have the site convert and churn out an MP3 for download. Apparently, however, that wasn’t always the way it worked. Once a video had been converted to MP3, that audio was stored on YouTube-MP3′s servers. If another user subsequently entered the same YouTube URL, no conversion or ripping was carried out. They were simply handed a copy of the previously stored MP3 for download. In a statement sent to TorrentFreak, BVMI said that this was a clear breach of copyright law. “Contrary to the common assumption that YouTubeMP3 is a streamripper that allows users to record songs from the Internet (much as cassette recorders were used to record music from the radio back in the day), in fact the online converter often simply made the pieces available for download without a license,” BVMI said. BVMI said that by the time the case had arrived in court last month the owner of YouTube-MP3 had already signed cease and desist declarations and agreed to refrain from reproducing and distributing copyright content. “The current case provides deep insights into the workings of so-called ‘recording services’ and exposes a trick that not only hoodwinks the rights owners but also misleads the users of these services,” said BVMI Managing Director Dr Florian Drücke. With the signing of the declarations the Hamburg District Court considered the case closed but ordered YouTube-MP3 to pay everyone’s costs. TorrentFreak contacted the site’s owner for a comment but as yet we’ve received no response. Presumably life at YouTube-MP3 will continue, but without storing converted MP3s for subsequent download. The end result, of course, is that users of the site will still get ripped MP3s just as they did before, a point not lost on BVMI. “One thing is clear: this platform, as well as most other streamripper sites, generate considerable advertising income that is not shared with the artists or their partners. This has nothing to do with fairness, nor does it fit with our current digital age, when many music sites – some of them free – can be used perfectly legally on the Internet,” BVMI conclude.